Stan Lee passed away yesterday morning at Cedars-Sinai Medical Center in Los Angeles, a family spokesperson told Hollywood Reporter. Lee had a hospital stay earlier this year and had been in declining health recently. He was 95. Lee�s passing marks the end of the era of the original creators of the modern Marvel universe. Along with Jack Kirby (who died in 1994) and Steve Ditko, Lee co-created the key characters and storylines of that universe. Lee also bridged the Golden, Silver, and modern ages of comics; he was present in comics� earliest days and saw its flowering into the most powerful force in modern pop culture. 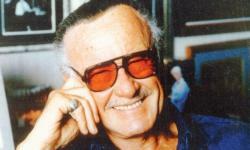 Lee was also the irrepressible face of Marvel, establishing a brand closely associated with him and with the qualities he represented: good humor, endless promotion of Marvel, a drive to transcend the genre with stories that tapped into universal human concerns, and a progressive outlook on social issues, especially those involving race. Lee started at Timely Comics in 1939, and became editor two years later. He remained editor (except for his time in the military during World War II) until 1972, when he transitioned to Publisher. He was on the Marvel executive team when the decision was made to open Phil Seuling, the company�s first Direct Market distributor, in 1974. Lee remained Publisher until 1980, when he moved to Los Angeles to work on animation and other Hollywood efforts. Eventually he transitioned to a role as a representative of the company and its characters. Lee�s non-Marvel activities later in his life had mixed results. His name was used for a company founded in the midst of the dot com boom in 1998 that eventually failed, dissolved, and was investigated.